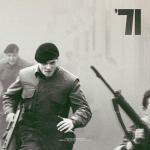 The sole soldier was accidentally forgotten by his squad during dealing up with riots in England back in 1971. The history of the humanity and inhumanity of the various representatives of the race of our species. This is also about what can be done in the name of survival, and what others can make in the name of chaos. The film has received numerous awards and many critics commendably estimated its production, acting and the plot. Typically, such accolades mark those films where there is some kind of a war and the very humane protagonist, who immediately calls empathy to himself, by his nice character and those actions that he performs in the beginning, to bribe the viewer and make him feel the great warmth to the depicted personality. The music is chosen entirely authentic to spirit of the times, which are displayed on the screen. You will find in the collection such famous masters as Solomon Burke and Elmore James. The whole collection of the genre is almost entirely pop of old-style, as it was from 1950 to about the mid of 1985's. Old school in two words (e.g., Burning Bridges or Walking The Streets In The Rain). Slow flows of almost all the songs create a relaxed feeling. Or, as the calm before the storm, or as a real relaxation, which occurs everywhere in everyday life. In the collection there are some big hits, for example, Right Of Wrong, which give a complete picture of what music had the time of the depicted events. The plot of the film is simple at first glance – the person needs to survive only one night. But the first part of involved people do not help him and the second half, on the contrary, makes something good, even sometimes with a threat to their own lives.